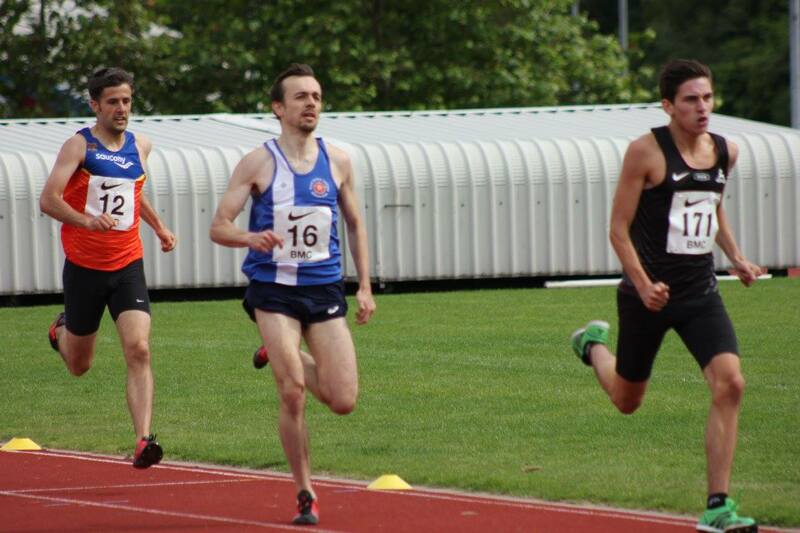 “Hi Everyone, Today Fred T broke his own M35 800m club record set in 2013, whilst competing at a BMC meeting at Tipton. His time was 1.56.8. Also competing at the same meeting were M50 Rob Andrew whose time of 2 06.1 was a seasons best and M40 Paul Thompson who recorded 2.14. 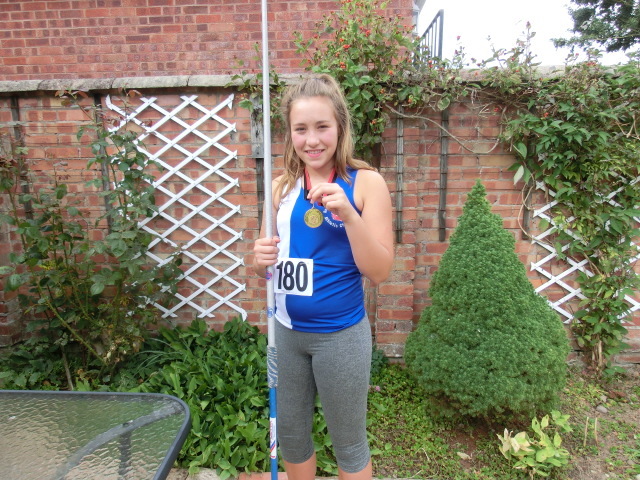 “Jasmine Walker had a fantastic debut performance for RSC by winning the Under-13 girls’ javelin competition at the Stoke Athletic Club’s open meeting last Saturday. 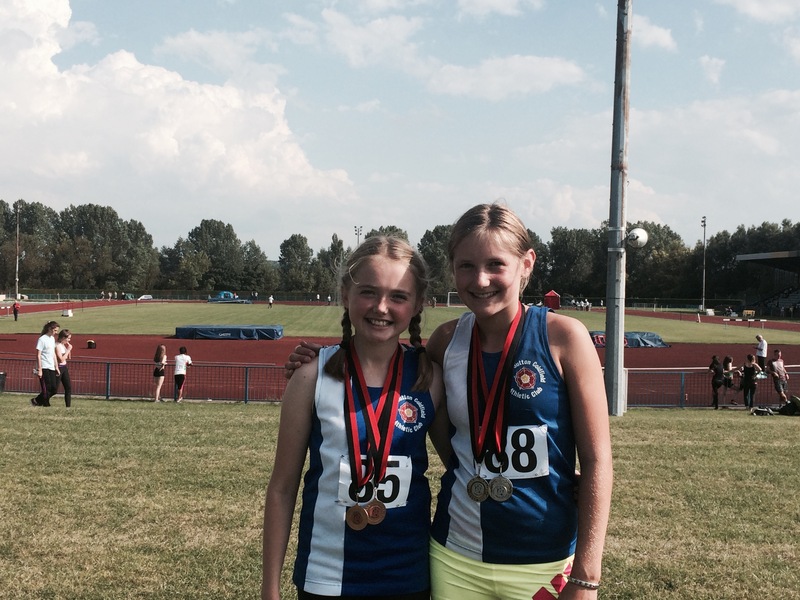 Her best throw of 27.06 metres not only broke the club’s long-standing record by over two metres, but also was the longest throw by an under-13 girl in the West Midlands this year. What is so remarkable is that Jasmine only took up javelin throwing four weeks ago and this was her first ever competition. There is plenty more to come! A date for the diaries…..The annual Presentation Evening will take place this year on Friday 18 September at Walmley Social Club. Admission will be by ticket only (no payment on the door). More information will follow soon on the website and at the clubhouse. 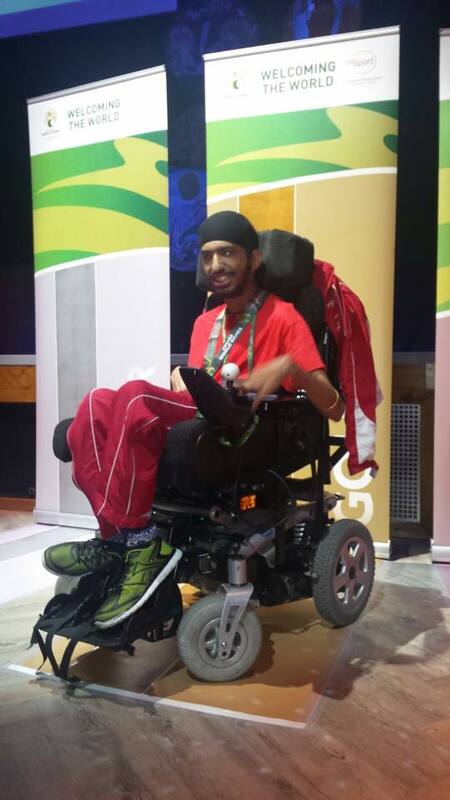 “Muninder Singh Hayer yesterday won Gold at the CPISRA World Games in Nottingham. In addition he also set a new World Record (subject of course to ratification). 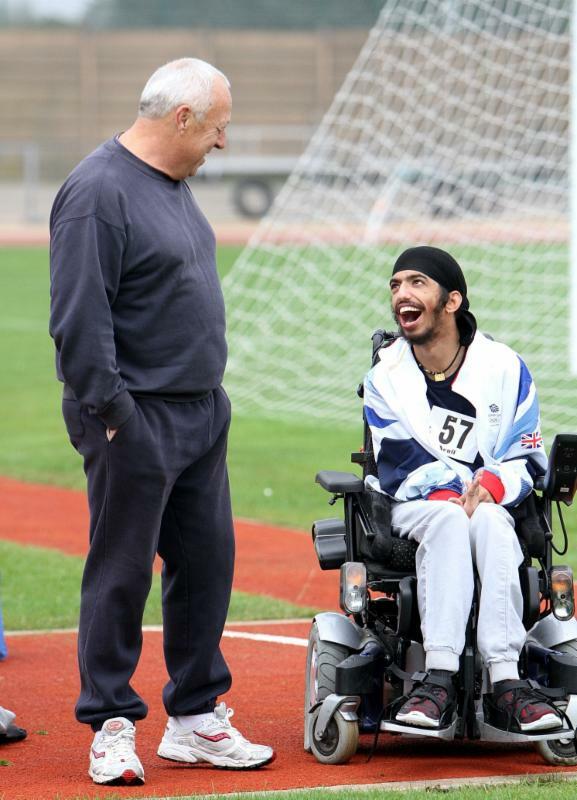 Muninder is an F31 Seated Club Thrower and this was his first International Competition. Muninder is part of a very successful England team competing at these games and in spite of his nerves, the wet weather, and having just 2 weeks to get used to his new throwing frame he rose magnificently to the occasion and realised the first of his ambitions. He will have 3 more competitions this year before settling down to a hard winter training schedule, aimed at getting him to the level needed for selection for The Paralympic Games in Rio next year. 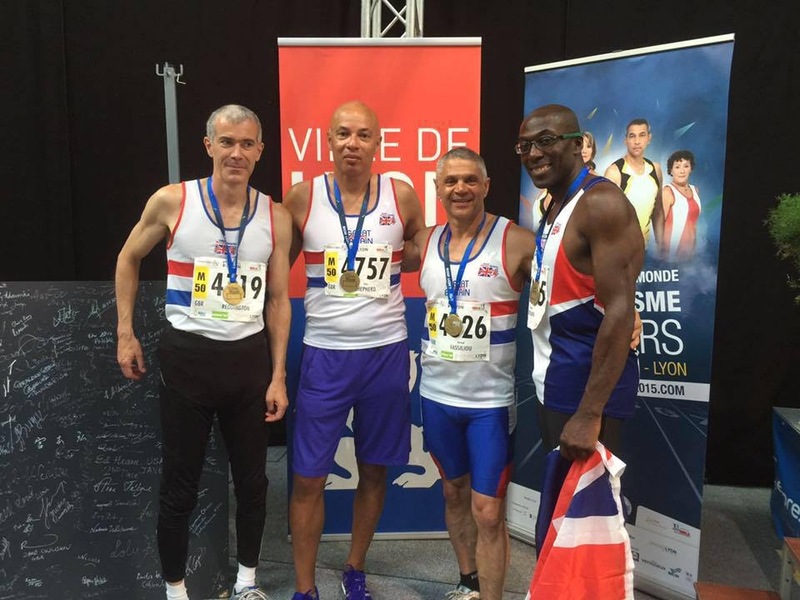 Donald Brown wins bronze at the World Championships!!! Great news from Lyon. Donald Brown today won a bronze medal in the 4x100m at the World Championships. Well done Donald!!! Hi Everyone, Please find the provisional results of yesterdays meeting. RESULTS – MATCH 4 You will see we won the meeting by the smallest of margins so I am delighted that I was able to persuade several of you to fill in events where we had gaps. If you remained to see the last event (the Mens 4x400m) I am sure you were enthralled by the running of the last leg by Nick Pryce. Wow!!! I cannot recall ever being more excited when watching an event in this League before. He made up a very large deficit going from 5th to 2nd and ran his leg in 47.0secs . I have never seen him so exhausted after a run. What a way to finish the League for this year. Thanks to all your efforts – athletes, officials, coaches, parents and supporters. We have avoided relegation and discovered some new talent and I look forward to 2016 with excitement. 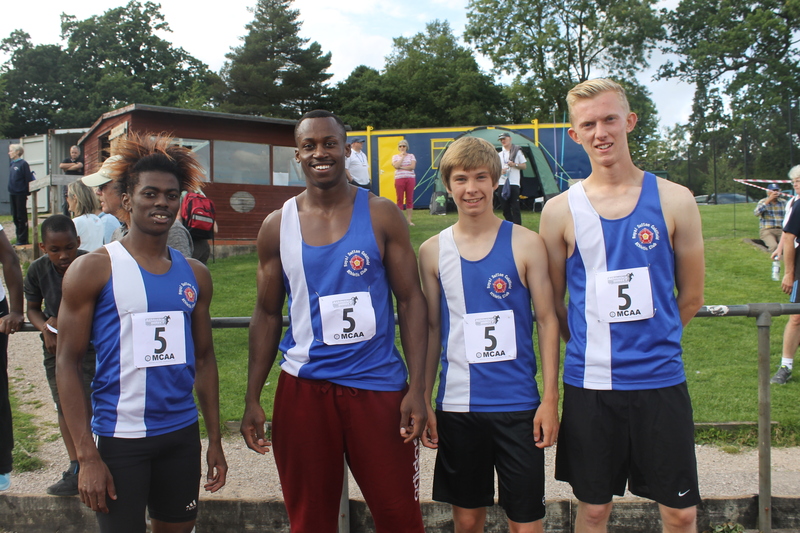 As a result of everyones great performances yesterday there were many pbs and six new club records. Wow!!! Sherri Smart – Senior Women Hammer (4K) 30.16 beats Sharon Ralph’s record of 25.08 set in 2009. This was also Sherri’s first competition. Liam Goodall Under 17 Hammer (7.26K) 35.83 beats his own record of 33.02 set this year. Andrea Deathridge W40 1500m 5.15.0 beats Rita Hinds record of 5.17.9 set in 1986. Rita and I were part of the same training group. Sharon Ralph W35 Triple Jump 8.01 beats Mel Woodward’s record of 7.29 set this year. Nick Corker M40 3000m Sch 10.20 beats his own record of 10.36.6 set earlier this year.